KENSO SOAI graduated from University of Tokyo and got Ph.D. degree (1979) under the supervision of Professor Teruaki Mukaiyama. 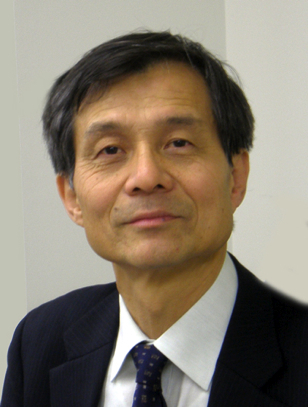 He was a fellow of Japan Society for the Promotion of Science (JSPS) at Mukaiyama's group and then moved to USA as research associate with Professor Ernest L. Eliel in University of North Carolina at Chapel Hill (1979-1981).\ He was appointed as Lecturer at Tokyo University of Science in 1981 and established his research group. He was promoted to Associate Professor in 1986 and Full Professor in 1991. His research interests include asymmetric synthesis, asymmetric autocatalysis, asymmetric automultiplication, origin of chirality, spontaneous asymmetric synthesis, absolute asymmetric synthesis, enantioselective synthesis, enantioselective catalyst, organic synthesis, organometallic chemistry, material science, bio-organic chemistry. Interview article was published in the scientific journal "Chemical Science" (March 31, 2008). Our research published in Science. He was Visiting Professor at Ecole Superieure de Physique et Chimie Industrielles de la Ville de Paris, 2001, Kyushu University 2005 and Waseda University, 2007-2010, Universite de Louis Pasteur (Strasbourg), 2008, Jilin University, 2010-2015. He was also Lecturer at Tokyo University of Agriculture and Technology, 1997; Kumamoto University, 1997; Okayama University, 2001; Saitama University, 2002; Aoyama Gakuin University, 2002; Tokyo University of Science at Yamaguchi, 2002; Tokyo Institute of Technology, 2002. Meiji Pharmaceutical University, 2003. Tohoku University, 2003. Tokyo Pharmaceutical University, 2004. Aoyama Gakuin University, 2005. Kwansei Gakuin University, 2005. University of Tokyo, 2008. Niigata University, 2013. Tokyo Institute of Technology, 2016. Progress Award in Synthetic Organic Chemistry, Japan, 1988 (Association of Synthetic Organic Chemistry, Japan). Chisso Award in Synthetic Organic Chemistry, 1990 (Association of Synthetic Organic Chemistry, Japan). The Chemical Society of Japan Award for Creative Work for 1999 (Chemical Society of Japan). Inoue Prize for Science, 2000 (Inoue Foundation of Science and Technology). Molecular Chirality Award, 2002 (Molecular Chirality Research Organization). Merit of Science and Technology, 2002 (Tokyo Metropolitan). Synthetic Organic Chemistry Award, 2003 (Association of Synthetic Organic Chemistry, Japan). Medal for Scientific Achievement, 2003 (National Academy of Sciences, Literatures and Arts. Modena, Italy). Chirality Medal 2005 (Chirality 2005, International Symposium on Chiral Discrimination). Special Award for Excellent Researcher of Tokyo University of Science, 2006 (Tokyo University of Science). Tetrahedron: Asymmetry, Most Cited Paper 2003-2006 Award, 2006 (Elsevier). Merck Lecturer at the 19th Annual W.S. Johnson Symposium. Stanford University, 2004. Honorary member: National Academy of Sciences, Letters and Arts Modena (Italy), 2006. Novartis Lecture. ETH Zurich, 2006. Science and Technology Prize by the Minister of Education, Culture, Sports, Science and Technology, 2007 (Ministry of Education, Culture, Sports, Science and Technology, Japan). Soai’s Nature paper (Nature, 1995, 378, 767) on Asymmetric Autocatalysis has been selected by the Editor of Nature as one of the 35 most excited chemistry papers published in Nature in the last 50 years from 1950 to 2000. The Chemical Society of Japan Award for 2010 (The Chemical Society of Japan). Medal with Purple Ribbon (The Emperor of Japan, 2012).